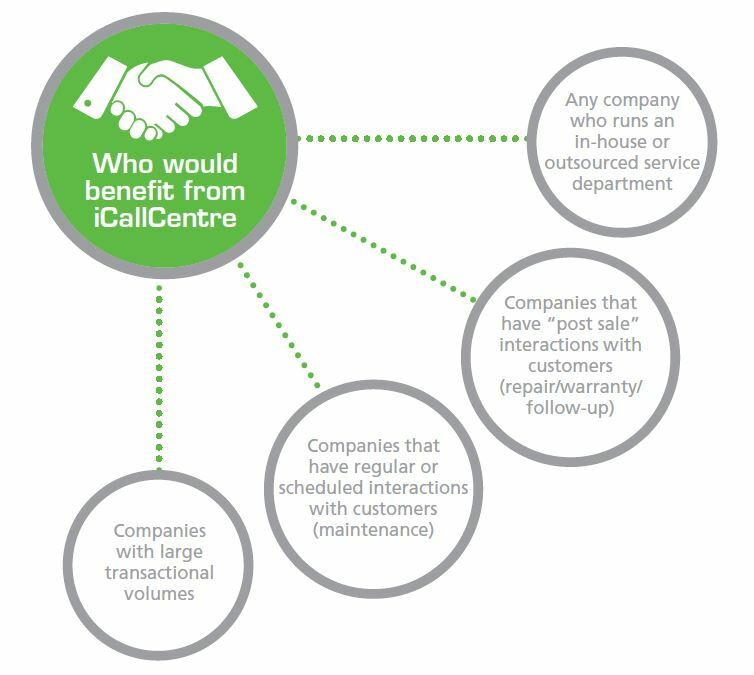 iCall Centre is a member of the iOpen Group and offers clients in the specialist call-centre industry a 360 degree service offering. We are geared to handle outsourced call centres across a wide variety of industry sectors. Our aim, with the use of specially developed software and systems is to simplify the provision of these types of services and provide the easiest and most appropriate customer relationship management (CRM) solutions. With the use of specifically developed software we provide excellent CRM solutions to a variety of sectors. Secondly we ensure highly skilled and professional call centre staff with our efficient, quick and easy to use portal. Thirdly we provide a friendly environment for both call centre staff and clients. The iCall Centre approach combines a number of critical elements. We start by hiring the right people for the job, crucial in the customer-focused environment of the call centre industry. We have created a highly conducive and effective working environment which allows us to manage service delivery and meet client expectations at all times. We believe in the power of monitoring and evaluation in order to ensure we meet client needs, and have therefore created a constant feedback loop, ensuring we monitor all levels of delivery. This approach provides us with the information necessary to continually refine and develop our systems and processes. Our ultimate objective is to create a first-class business environment that enables us to deliver the best possible service to our clients and their customers, therefore we believe in a fully transparent business process, providing clients with access to our systems. iCallCentre strives to provide world class services to our clients while saving them time and money. iCallCentre solutions enables our clients to focus on their core business while also identifying opportunities for business growth. At iCall Centre, we are all solutions-driven and customer-focused people with a passion for what we do. Our reputation in the marketplace is based on a desire to exceed client expectation on every project we undertake. Our team approach is underpinned by a genuine commitment to providing the highest level of service delivery to our clients, within the required timelines. Our team of specialist consultants, solutions providers and project managers work closely with our clients to ensure fully integrated service delivery, utilizing a multitude of channels and specialist tools that are effective, timeous and cost conscious. Our Call Centre Agents undergo extensive accredited training which includes soft skills, telephone etiquette, time management and customers services to name a few, this is supported with a constant refresher customer service training.